With the cloud, equipping employees to work smarter and collaborate from a distance has become easier than ever. But as more users share documents from cloud-based apps and devices outside of the workplace, the potential for threats has sharply risen. Traditional security controls simply don’t apply. So how can you empower employees to be more productive while protecting corporate assets in the cloud? Microsoft Azure Rights Management (Azure RMS) allows you to set complex policy restrictions and permissions and manage company data across Office 365 workloads like Exchange, SharePoint and Office. Through encryption, identity and authorization policies, you safely assign rights and permissions to people who need important company data while preventing unauthorized access. Some Azure RMS capabilities include Do Not Forward, Company Confidential and Office 365 Message Encryption. By applying different Information Rights Management options to your emails, documents, and apps, you protect your files whether they’re viewed using Microsoft Office Online or downloaded to a local machine. You can also securely share files in email or cloud storage services such as OneDrive or Dropbox. Azure RMS makes it easy to share protected files within or outside your organization. Authorized users and services can read and inspect Azure RMS-protected data, which isn’t always the case with peer-to-peer encryption solutions that risk losing access. Azure RMS works across multiple devices — phones, tablets, and PCs — and supports Android, iOS and Windows. It’s also deeply integrated with Microsoft Office applications and services and supports other applications via the RMS sharing application. With flexible deployment options, you don’t have to choose between on-premises services and the cloud. Azure RMS runs as a cloud service, so you don’t have to provision or deploy additional on-premises servers when scaling up. Users can quickly apply predefined rights management rules to files with a single click. Or administrators can create their own custom templates that meet their business and compliance requirements. Azure RMS is a prerequisite for Office 365 Message Encryption — which allows users to send and receive encrypted email straight from their desktops. Deliver sensitive business messages with confidence through Office 365 message encryption. Safely share files in email or Microsoft OneDrive and across various email services. Integrate with Exchange transport rules, allowing you to set up encryption and decryption in a single action, while adhering to corporate policy rules. Easily protect conversations by encrypting entire email threads without the need for certificates or service subscription for recipients. Brand your conversations by adding a custom logo or disclaimer to all emails. Read and respond to encrypted messages with ease through the simple Office 365 interface. Azure Rights Management delivers the same protection for Office 365 users as Active Directory Rights Management Services does for on-premises users. You can add Azure RMS to your existing Office 365 subscription or as part of the comprehensive Microsoft Enterprise Mobility Suite. Why choose Agile IT for Azure Rights Management? Microsoft Cloud Partner of the Year for 4 consecutive years. 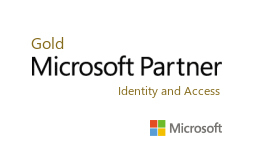 15+ Gold Microsoft Competencies recognize high standards of expertise and customer service.